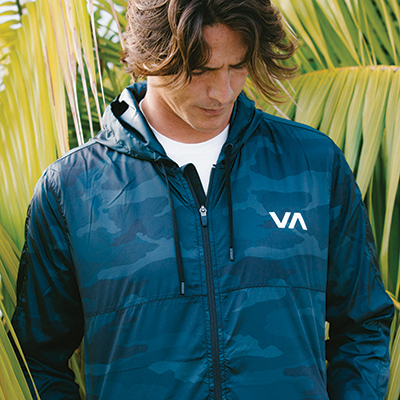 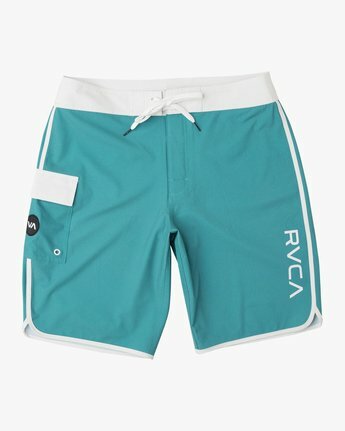 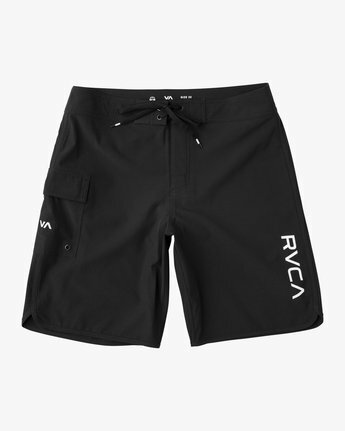 The RVCA Eastern 18" Trunk sets the standard for a classic boardshort. 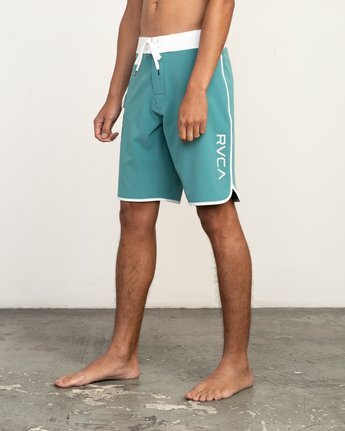 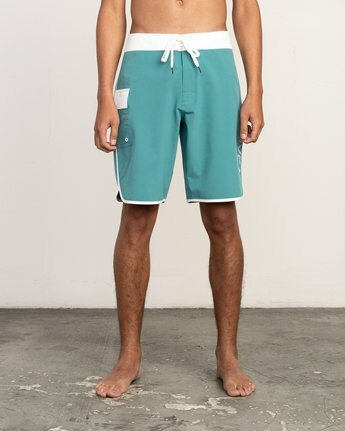 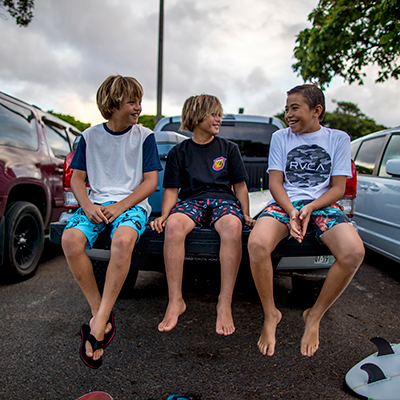 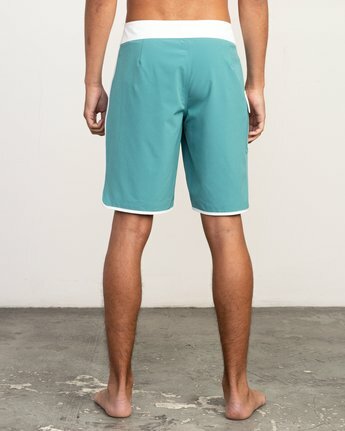 Made from 4-way performance stretch, the solid boardshorts bring back a traditional scalloped leg and side seam taping, adding on functional design. The solid trunks are finished with a VA patch at the side leg pocket and RVCA print at the left leg.